Chou Chou! 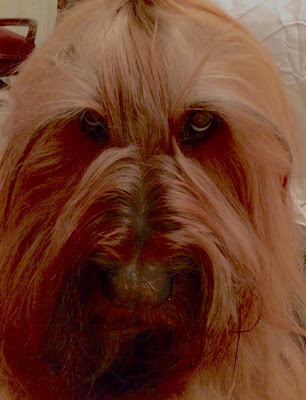 Adventures of a Briard Girl : Chou Chou's Contest: Who Is The Real Chewbacca? 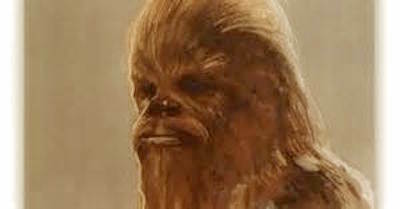 Chou Chou's Contest: Who Is The Real Chewbacca? So you think you know all about Chewbacca? Can you pick the real Chewie from these photos? Did you find the real Wookiee? Three of the photos are photos of Chewbacca from Star Wars, of course. 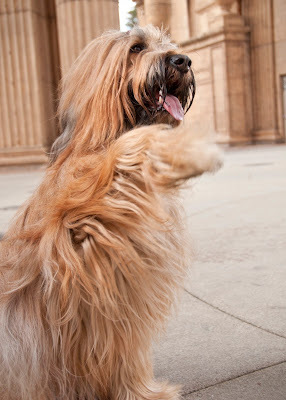 Two are photos of Chou Chou Briard. 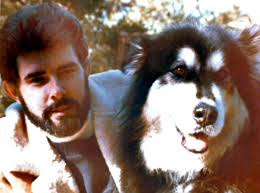 But the original Chewbacca is the black and white Malamute! The photo is an old shot of Lucas with his dog. The inspiration came to him, he has said, while his dog was sitting next to him in the front seat of his car. His Malamute, named Indiana (see also Indiana Jones) was a large hairy presence and a loyal friend. The name Chewbacca was derived from the Russian word Sobaka (собака), which means dog. 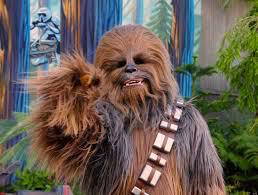 Children call me Chewie all the time! I bet no one calls the Malamute Chewie! I am impressed with this tidbit of information! 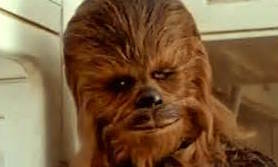 I thin Chou Chou looks more like Chewbacca than that Malamute. I think so, too! Mr. Lucas is probably mistaken!